A nameless gunman is trying to kill a scholar who is teaching or spreading the word about the enlightenment and open door policy for Joseon. While Park Jin Han (Choi Jae Sung) and his guards are trying to protect the scholar and find the gunman, the scholar dies at the hand of the gunman and the gunman escapes with what seems to be fatal wounds. We finally meet our rambunctious leading man [ExtraKun’s note: Show, it took a full 10 minutes to see Jun Ki Oppa’s face… I was about to be upset but he was so adorable! Forgiven!] 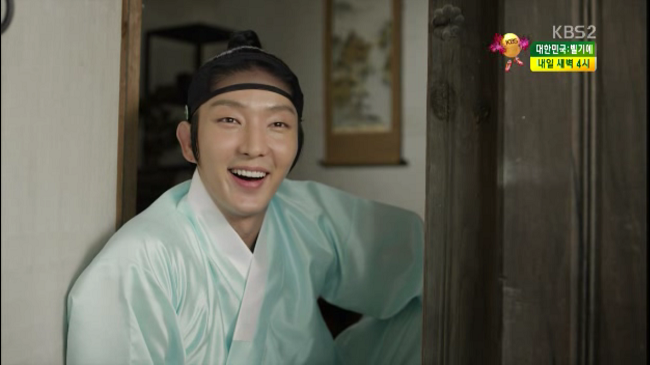 Park Yoon Kang (Lee Jun Ki) playing with some gisaengs. He seems to be a bright, masterful swordsman, who has an easy approach at life. His father, chief of police aka Park Jin Han, wants him to be about a little bit more than a man sword playing in the gisaeng house. We fast forward and find out that Hye Won’s father, Choi Won Shin (Yoo Oh Sung), is working with the conservatives and leads the gunmen to stop the enlightenment from spreading any further. In fact, he is kinda the best gunman around! Merchant by day… Killer by night type of thing. The next hit was put out on the next scholar and Jin Han. Fearing that his family is in danger, Jin Han moves his family to stay with a trusted friend and his family; which turns out to be Soo In’s residence! 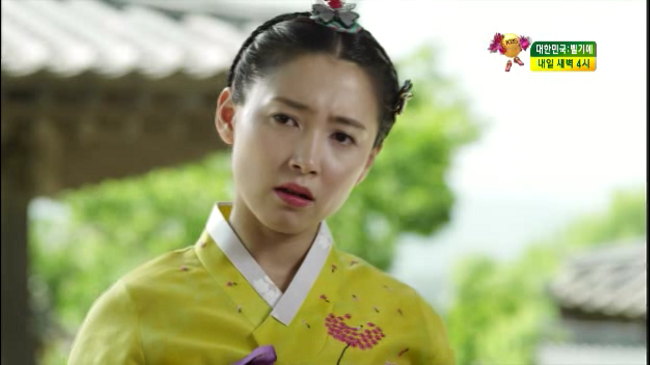 Yoon Kang has no idea that she is the rude “scholar” he bumped into earlier; but it is written all over her face she “knew” him. When Soo In is sneaking out of the house to meet her long lost teacher (who is the next target for the conservatives) to deliver an important book, she is caught by Yoon Kang who still doesn’t know who she is. She threatens to shoot him if he refuses to move out of the way. Convinced that the “scholar” has something to do with the assassinations, Yoon Kang is insistent they go to the police bureau. She shoots…! 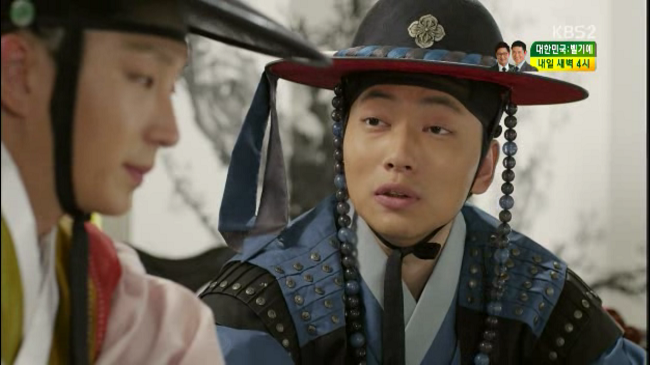 While chatting with Jung Hoon about how his sword was shot by a gun, Yoon Kang comes to the realization that the random “scholar” is Jung Soo In! Once confronted with this, Soo In realizes that she has to do what Yoon Kang says to keep his mouth shut… Twisted logic at play. A letter is delivered to Soo In from her teacher. He is leaving on the account of it being too dangerous and he wants her to deliver the book. Yoon Kang agrees to go with her because of the danger and it would be faster to go horseback [ExtraKun’s note: Chivalry is ALWAYS hot!]. 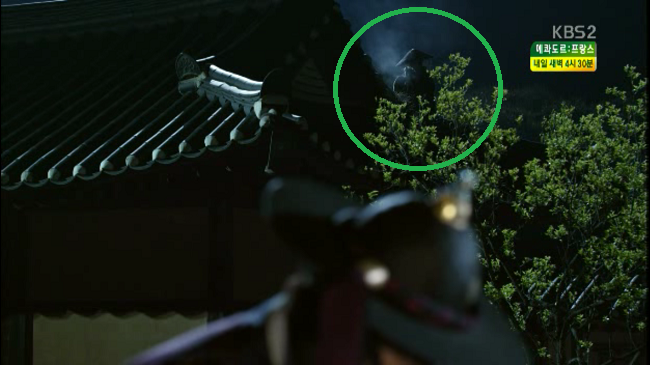 While getting a horse from Jung Hoon (who is a ranking officer for the western police bureau), Yoon Kang informs him that the scholar everyone is looking for is leaving Joseon– he gives him the time and location. Isn’t he such an adorable helpful friend? Everyone (and I mean everyone who is anyone) is at the Mapo Pier where the last scholar is leaving. 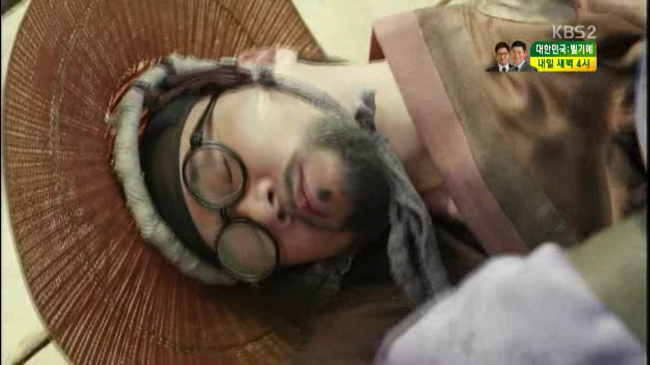 Once Soo In gives him the book, he gets shot by Won Shin. 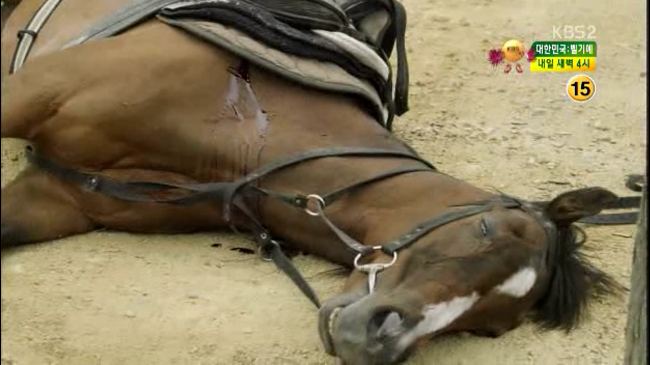 As Yoon Kang and Soo In try to escape, Won Shin shoots their ride aka the horse to keep them from getting too far. They escape to the woods, shed some of the heavy clothes, and try to stay low. 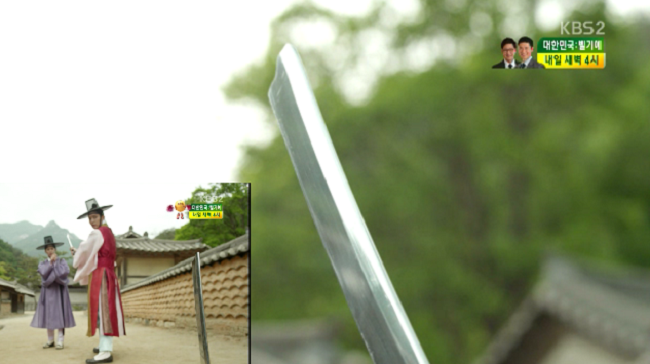 While Won Shin is searching for them, the police bureau and Jin Han are searching for Won Shin aka the recent gunman. 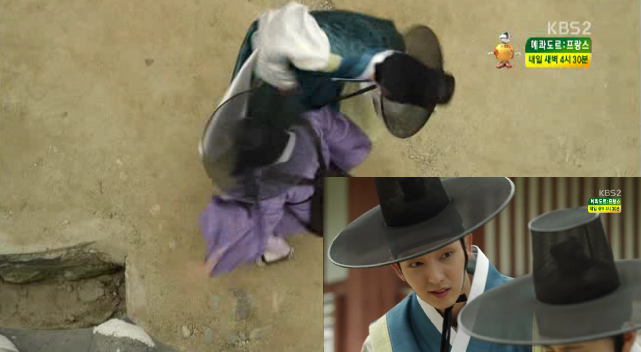 Nearly escaping death overnight, Soo In and Yoon Kang finally get caught by Won Shin. 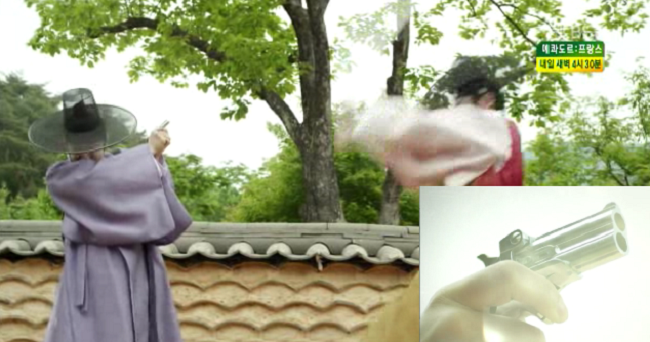 They hand over the book and think that it is over… but Won Shin raises his gun once more! Holy crap! 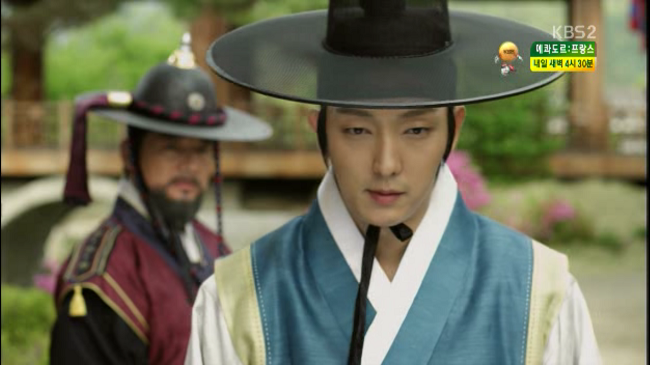 I was so excited to see Jun Ki Oppa that I really did not read on the drama’s premise. I am very excited by what I see so far. It kinda gives off this The Princess’s Man vibe and I was so in love with that show it isn’t even funny. I absolutely adore Yoon Kang—he is bright, rambunctious, skilled, and all around adorable. I hate that terrible things are going to happen to him, but I am looking forward to Jun Ki’s approach. Jung Soo In on the other hand, I am annoyed with her already. She just gets a no. Maybe tragedy and horror will actually make me like a little more because she is annoying as crap right now. Drama gods knows I wanted to like her, but alas it is not in the cards. I love what Nam Sang Mi is doing with the character, this is my first time seeing her and I am excited to find another actress to appreciate. Hopefully, the character will get better over time so I can love both! 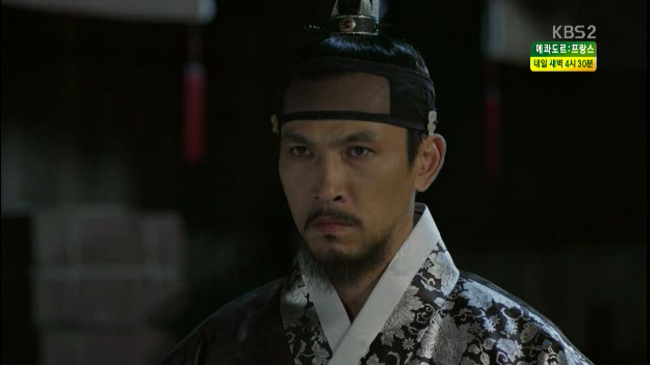 I was also ecstatic to see Yoo Oh Sung as a villain once again–or what appears to be a villain from the first 2 episodes. He is so good at being bad… meaning, it is a treat for the masses. I really look forward to what he as Won Shin and his daughter (Hye Won) will be up to. They are very intriguing, cunning, and lethal. I. Love. IT!!! Overall I am hooked. Beautiful images, great cast, interesting characters… What more can you ask for!? 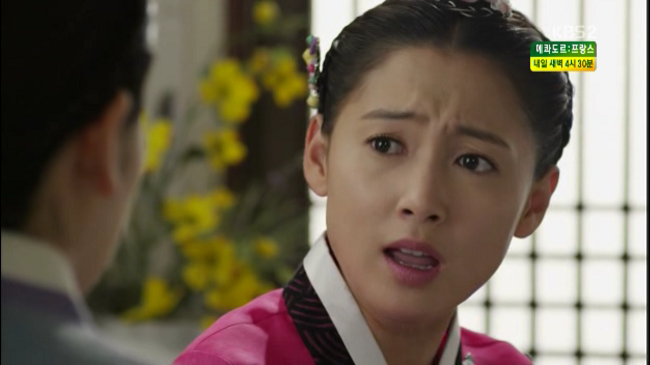 I am very excited to do some fangirling, popcorn throwing, and crying with Joseon Gunman. To see more of my thoughts, click here to see Unnichan and I discuss! What about you Lore Unnie? Well, um. Wow, just wow. I am in love. With Jun Ki Oppa (no surprise here, I should say I am still in love with him). But seriously, the first two episodes sucked me in. While I have no idea how this series will hold up I am adding this show to my live-watch list easily. The lead characters, Yoon Kang and Soo In, have a great dynamic going and I like both of them. Soo In is the kind of stubborn I can get behind, even if her temper is a little over the top. I agree with E-Kun in that her character could use some growth, but I am happy with her as she is now (because let’s face it, she will probably end up a bitter wreck in a few episodes). I enjoy Yoon Kang’s independent streak and happy go lucky attitude. He has the same kind of fun before-life-fell-apart vibe that I see in Soo In. Alright, I admit it. I know the premise of this show. Basically these two happy campers won’t be happy for very long. Which is something that reminds me of the Princess’s Man (one of my all-time favs- thanks E-Kun for bringing up the similarities because I can totally see it). The second episode really picked up the pace as Yoon Kang and Soo In were chased through the woods by the best-boat-builder-in-the-world assassin man. And how did they manage to fit so many cute scenes into this long chase sequence (“I guess our only choice is to sleep in this deserted cabin” “Let us snuggle in the woods” “You’re pretty”)?! It was like my birthday and Christmas all at once. Am I the only one that was a little surprised at how far our leading couple progressed in the first two episodes – at least by drama couple standards (note- drama couple standards are like an actual romance in slow-mo)? I mean, they both like each other, they bonded, and they kind of saved each other’s lives. It feels like we should be on episode 8 at least. All joking aside, Joseon Shooters has set a nice pace with a good dose of cute and funny moments to temper all of the suspense. I am enjoying the hunt for the gunmen and the intrigue that this plotline promises. The camaraderie between our leads is almost certain to turn into them versus the world (or versus each other) as our gunmen go crazy and people keep dropping like flies. And I can’t wait. Color me addicted. So…I wrote this whole long comment…and then it wouldn’t post I have been looking forward to the drama since the promos have been showing and I am so happy that it’s delivered on all it’s promised – at least so far. I am also totally feeling “The Princess’ Man” vibes, and I love the chemistry between LJK and NSM – maybe the progressive relationship/skinship is because of their work together on “Time Between Dog and Wolf” where they were so excellent together. I don’t mind Soo In’s character so much – she just seems so much sassier than most K-drama heroines we see. And I am glad that they’ve gotten so close so quickly. Yoon Kang is most definitely going to need someone sassy, brave, and smart to help him as he encounters all his troubles ahead! I am really feeling the Princess’ Man vibes more and more when I consider the first two episodes and I am obsessed with that drama. One of my all time favs. The leads have great chemistry and I agree- Yoon Kang needs a sassy and brave woman to get him through the s***storm that is going to be thrown his way. So far I am in love with this drama on a level that is not even funny (I was talking to E-Kun earlier today and realized this is the first drama in a looooooong time where I want to rewatch the episodes only a day after seeing them for the first time). I have such high hopes for this show! Yes! Yes! Yes! To all you said! I am not looking forward to all the bad stuff that’s going to happen. I want the drama to retain it’s light and funny touch amid the drama. Oh man! I am so glad it’s so good though! Yea, I think it depends on how you view the character in general. I don’t really see as being sassy, she was annoying. While I agree she has her own brain, thoughts, and opinions, I need her to display a bit more common sense. I have a thing with people not using common sense. By the end of episode 2, I was not as enraged as when we first met her, so there is a strong ray of hope for her overall. I was watching The Princess’s Man all over like I had never seen it before! I loved it! LOVED IT!